"I most enjoy being able to help people while enjoying art and science together. Learning the skills of dentistry has been very satisfying and rewarding. I am very compassionate, full of empathy, loving, gentle and caring. "I hope to educate my patients about what it takes to have a healthy mouth and healthy body – and deliver the same. I love people. My patients sense that and, in return, they refer me their friends and family." Dr. Patel has continuously been at the forefront of the latest dental developments, techniques and treatments available. 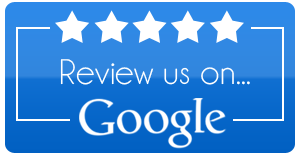 In more than 20 years of practice, Dr. Patel has earned a reputation as a skilled, gentle, caring dentist from her peers and patients alike. She understands and believes in the need for personal attention and gentle treatment of each patient. She is fluent in Spanish, English, Hindi and Gujarati. Certification in orthodontia/orthopedics from United States Dental Institute, certificate in orthodontia and advanced orthodontia from Mid-America Ortho Society, training in sleep apnea treatment, dental implants by Professional Development Concept, Invisalign by Align Technologies, implants by Nobel Biocare, implants by Perio Institute, Implant Dentistry Continuum by IDS, cosmetic dentistry, veneers and Lumineers® by DenMet. 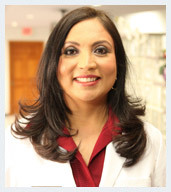 Dr. Patel has passion for dentistry and loves spending time with her family and community; she truly cares for patients. In her free time, she enjoys reading, traveling, dancing, exercise, cooking, shopping and family picnics. 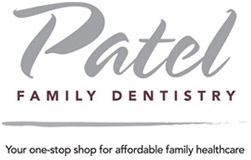 For your complete and personalized dental healthcare needs, visit Patel Family Dentistry in Franklin Park, IL. Call (847) 455-4750 or fill out our online Request an Appointment form to schedule your consultation with Smita B. Patel, DDS.